Women have played an extraordinary part in history. Whether moving toward freedom from oppression, freedom in the workplace, or the freedom to make one\'s own choices, women have positioned themselves as voices of empowerment and endurance. Mary Dunne paying tribute to Maire Brennan, the first Lady of Celtic music and her favourite singer Cara Dillon. Kristina Godfrey will bring us two doyennes, Joan Baez and Joni Mitchell, who have strummed their way through the golden age of the peaceniks, preaching love and tolerance. 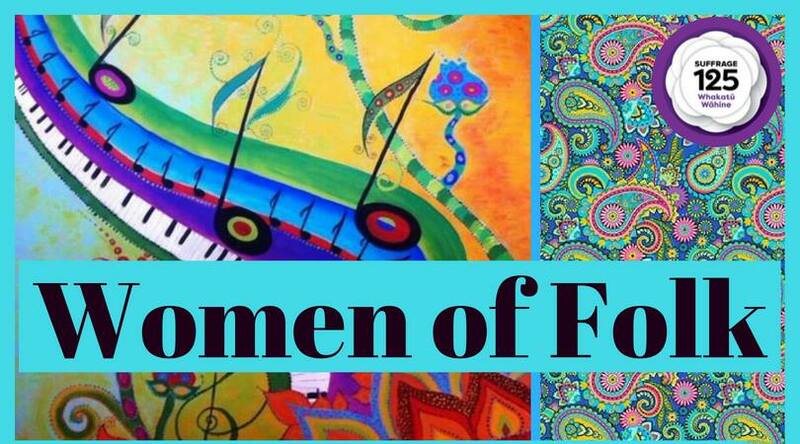 Cathy Sweet will share some waiata from Aotearoa\'s wahine toa songwriters. \'Woman\'s Heart\', features trobairses\' Mary Ruston, Liz Nichol, Argene Flack, Judi Smitheram and Kirsten Bone bringing tunes from Wailin\' Jennys, Linda Ronstadt and Sandy Denny. \'Gospel Select’ will share 3 songs from folk women committed to messages of love and empowerment. Lead by Lisa Tui and Jillie Toogood this group of women have banded together in the spirit of the tribute from gospel choirs Bright on Vibes and Jabulani Choir. VENUE: Christchurch Irish Society Hall, 29 Domain Terrace, Spreydon The hall is situated up the long driveway, directly next to Domain Park, and there is plenty of well-lit off-street parking. DOOR SALES CASH ONLY: Tea, coffee, biscuits and cake available during the break, also bar facilities for cold refreshments throughout the night, Eftpos available for purchases only, no cash-out facility. Folk Club and Irish Society please remember to bring your current membership card as this is required for new club licensing. Non-members sign in at bar.